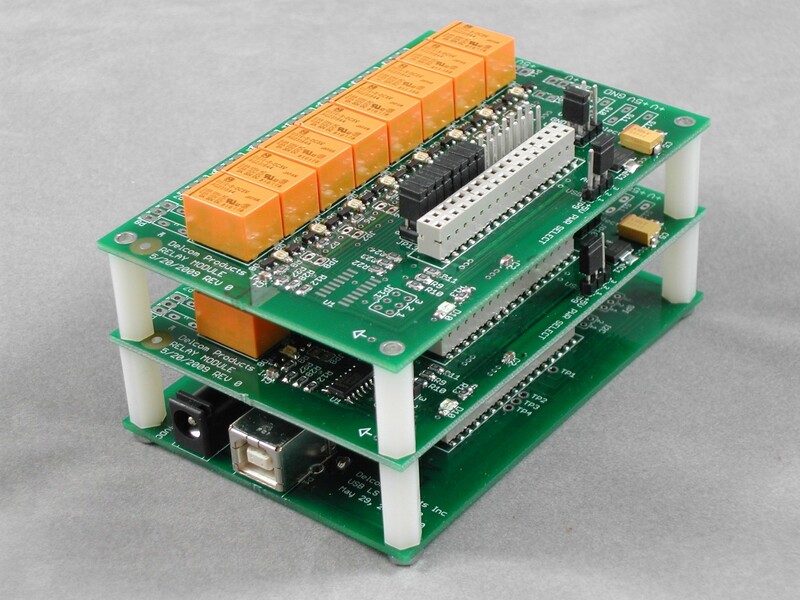 The Delcom modules allows you to build custom solution for interfacing your computer to the real world. Modules can be added in a stacking fashion to meet your design requirements. One interface is required to communicat with the modules. Coming soon: Ethernet interface, A/D and temperature modules. Supports MAC OSX, but custom application programming required. Supports Linux, but custom application programming required. Supports 32 and 64 bit operating systems. Click on the product number for more information. ��Contact us for alternate configurations.